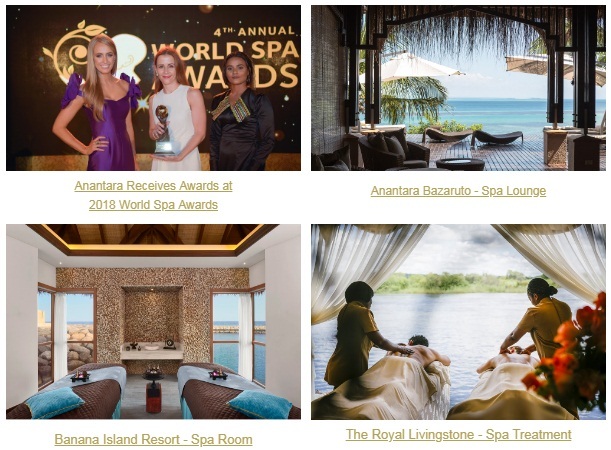 Anantara Hotels and Resorts is delighted to announce a collection of prestigious awards revealed at the 4th annual World Spa Awards ceremony, in recognition of the luxury brand’s standing as a leader in global spa and wellness industry. “We are truly honoured to see Anantara’s soul-soothing hospitality recognised by the leading figures of the global spa and wellness industry. In our commitment to immersing travellers into the spirit of a destination, we are constantly on the lookout for innovative wellness solutions that incorporate indigenous practices. The award is testament to Anantara spa’s enduring appeal and a recognition of our continuous efforts to stay at the forefront of the constantly evolving industry,” said Zoe Wall, Group Director of Spa – Asia, MSpa International. “With the opening of Anantara Quy Nhon Villas later this month, we are adding another outstanding spa product to our portfolio of luxury resorts and spas in Asia. Situated on the south-central coast of Vietnam, it’s a true jungle getaway steeped in local wellness traditions. Guests can look forward to our signature results-driven therapies and exceptional service at one of Vietnam’s most spectacular destinations,” Wall continued.